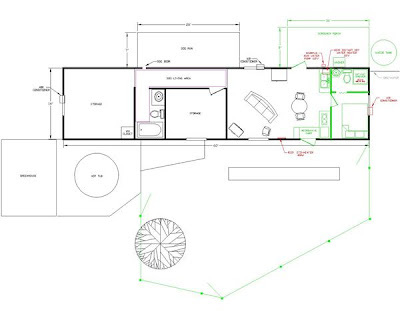 I've been amusing myself with mobile home remodeling plans. Even though I should have my mortgage paid off in a year (or a little more if things don't go as planned) I still need other goals and projects to keep me occupied. My living arrangement with me and the cat in the RV and the dogs in the mobile home is less than ideal. I really don't like having to go outside in the morning to feed the dogs and then having to go back to my RV in the dark every night. 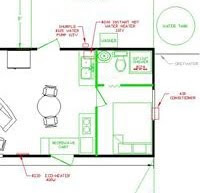 So I drew up my plan for adding a room to the end of my mobile home. It would be a small bedroom (but after living in an RV, I'm used to small) and a small bathroom with basically a counter top for a kitchen. The part in green is what I want to add. This area was the original kitchen before a previous owner tore out the cabinets and installed a plywood countertop along the back wall. The red items are things I need to buy such as a water heater and pump, air conditioner and heater. The shower pan would need to be purchased also. Toilets and used sinks are very common on craig's list so I don't consider them a big purchase. I saw a shower pan at the Habitat store for $100 today. At Home Depot they are $124 and up. I wouldn't have any appliances that require 220V so I won't need an electrician to upgrade my electric system. Getting an electrician to come out and give me an affordable quote proved to be impossible last year. I tried 4 electricians and then gave up and changed my plans. I found a wall heater at Home Depot that uses only 400 watts for $130. Sounds promising and gets good reviews. Home Depot also has an instant hot water heater for $200 which plugs in to a normal outlet. An RV website sells water pumps for park models which run on 110V instead of the usual 12V for RVs. The window AC unit plugs in to a regular outlet as well as the washing machine and fridge. The only thing that I cannot have without involving an electrician is a clothes dryer. But then clothes racks don't require electricity so I have an alternative or I can walk over to my garage and use the dryer in there. I already have a 2 burner stovetop and a 110V roaster oven so I can bake cakes if I want to. So, that's my latest plan. I even put the dog fence in the front. Hopefully I will get that set up this weekend. I want to do all of this for under $1,500 and be moved in before next summer. I definitely do not want to be running the air conditioner in the RV for the cat and another air conditioner in the mobile home for the dogs next summer like I did last summer. That adds $100/month to my electric bill easily. I want to add extra insulation to the room addition for both temperature regulation and noise dampening. I need a good night's sleep. No barking. The reason that I want to add a room and bathroom instead of using the existing rooms and bathroom is that the floor under the bathtub has rotted out so it would need to be replaced. Also, since the dogs are living in that part of the mobile home it is easier to work on the opposite side. Plus, those 2 rooms are full of STUFF which I am working on clearing out. Having a bedroom on the farthest side from the dog run will be quieter too. The biggest challenge will be installing the toilet. I might just go with a composting toilet of some kind. The septic pipe does run right underneath where the toilet will go but a regular toilet uses more water than my RV toilet which I use now. Since I rely on rainwater for all of my water except drinking water I have to conserve carefully. I could install an RV toilet but I would still need to use more water to help things move along towards the septic tank. I have thought about just using a camping toilet as a temporary solution. The rest of the wastewater from the sinks, shower, and laundry will go out to water the trees. This is not my long term housing plan although it could be long term if it had to be. This is just my first step to get out of my RV without spending a lot of money or getting a new mortgage. Then I can save my money for my next residence, whatever that will be. It is fun to plan that kind of stuff out. Even more fun when it should be happening so soon. 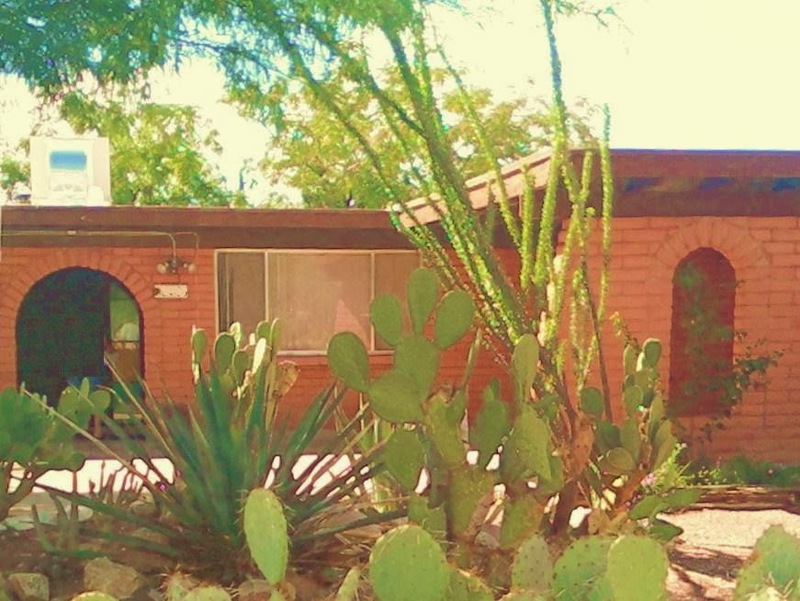 If you did the bare minimum and were able to move in, would selling the RV be an option? That might go far in paying for anything else you might want to do to the mobile home. I wish the plan was higher resolution. wow, you have been thinking big. i think its a great idea. more comfort and conveneince & you can free up the investment in the RV. Over the Cubicle, yes, selling the RV before it loses all of it's value is a motivating factor. I don't plan on selling it until next year because it needs some fixing up and because I think November is the best time to sell since the snowbirds are arriving and looking for places to live. lizzie, I am hoping that it is more comfortable and convenient. I might find that living close to the dogs is not as great as I think, they are so dirty!